Bellmore, New York, USA. 19th July 2017. 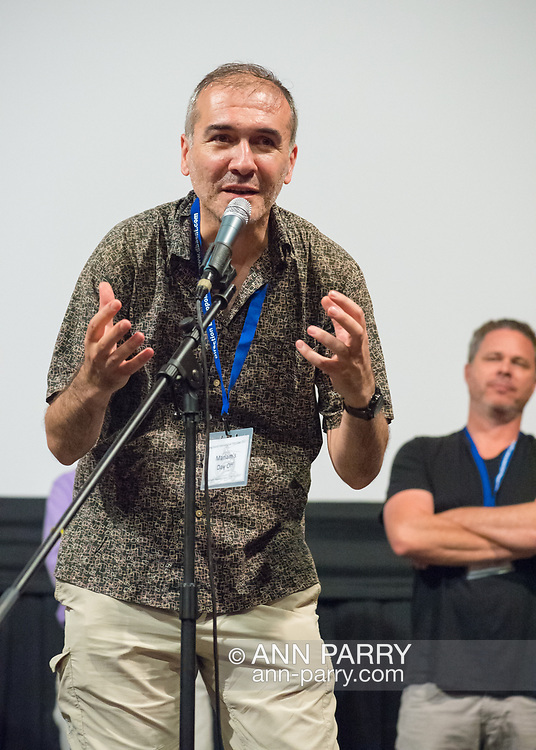 Director and writer ARSHAK AMIRBEKYAN, at microphone, speaks during a Q&A at the Long Island International Film Expo LIIFE 2017. Screened earlier that evening was "Mariam's Day Off" a short foreign film filmed in Armenia, about a young prostitue invited to an artists studio to model. Behind him at right is Director BRAD KUHLMAN.